Like all local businesses Alliance Roofing Company relies on word of mouth to advertise our services and we also rely heavily on our good reputation. So we take great care to maintain it. The only way to do that is to deliver only top class work every time. That’s why we’re still here, more than three decades later since we started our roofing company back in 1976, still carrying out expert roofing installation and repairs right across South East WI. We’re experienced in various types of roofing materials and methods. We’re your local professional roofing, guttering and skylight contractor company. We guarantee successful finish to every job we carry out, which gives our customers an extra peace of mind. You’ll find our team a friendly bunch of highly professional, polite and knowledgeable people. We understand how stressful a roof installation can be so we always make sure we cause as little mess and disruption as possible. We work as hard and as fast, as the South East WI weather allows! When it comes to local South East Wisconsin Roofing Companies you can trust, you won’t find anyone better than Alliance Roofing Company for quality installations. Let us meet all your roofing, gutter, and skylight needs. Whether you’re starting a new construction project or have a storm damage related emergency, we are here for you. For top-quality work and excellent customer service, there is no better option than Alliance Roofing Company! We work hard to be one of the best full service Roofing Companies in Milwaukee and surrounding areas! Contact us today to talk about your next Roofing job! 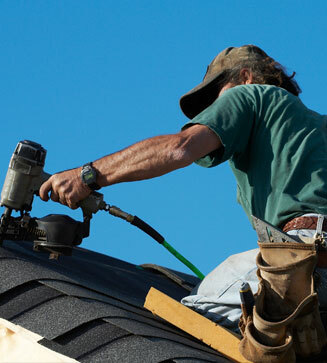 We offer New Roofing, Re-Roofing and Roofing Replacements, Roofing Restorations and Roofing Inspections. We offer Shingle Roof Installations, Rubber Roof Installations, Metal Roof Installations, Roof Vent Installations, Roof and Chimney Flashings & much more. Our Gutter & Downspout Systems designed for any Residential property are made to order and will fit your house exactly. They are affordable, attractive and effective. We specialize in Seamless Gutter systems and we also offer Gutter Cleaning & more. A wide-ranging selection, trouble-free installation, reliable long-life performance and competitive prices on all our quality Residential skylights separate Alliance Roofing Company from the competition. We know that the weather is South East WI can be tough. That's why we offer all kinds of Roofing Repairs including General Roofing Repairs, Storm Damage Repairs, Hail Damage Repairs and Wind Damage Repairs and more.